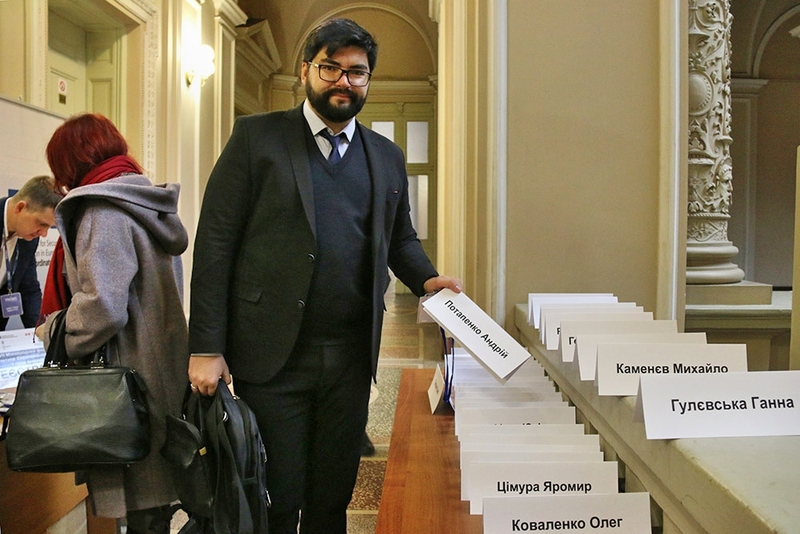 On November 16, 2018, VII International Forum on Practice of the European Court of Human Rights took place in the Mirror Hall of Ivan Franko National University of Lviv. 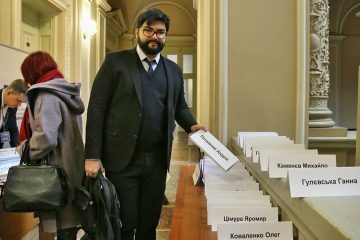 Lawyers, leading scientists and prominent specialists in the field of human rights protection took part in the scientific meeting and discusses the actual problems of application of decisions of the European Court of Human Rights in the Ukrainian legal process. 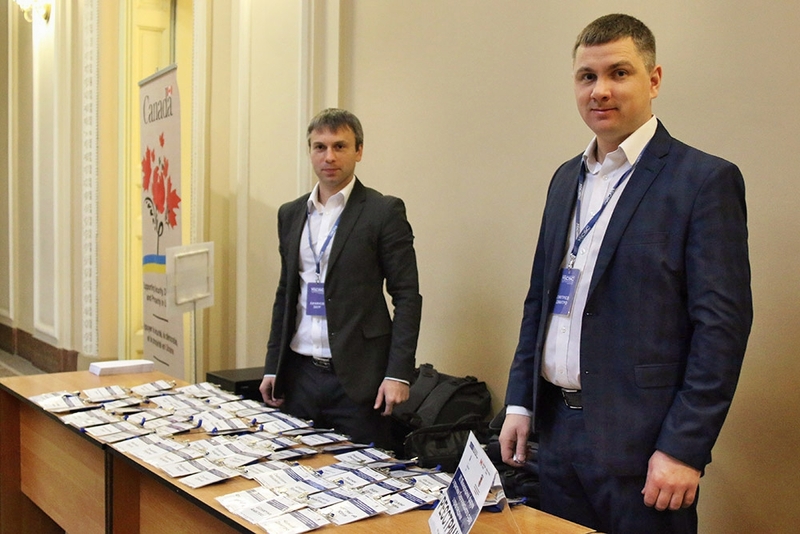 The forum was organized within the framework of the project “Ensuring the observance of human rights in the administration of justice” of the OSCE Project Co-ordinator in Ukraine, together with the Law Faculty of Lviv University and the Supreme Court, with the financial support of the Ministry of International Affairs of Canada. The event started with the welcome speech of Rector of the University, Corresponding Member of the National Academy of Sciences of Ukraine, Professor Volodymyr Melnyk. He emphasized the importance of the Forum, which focuses on a wide range of human rights defenders, scholars, judges, lawyers and other professionals on issues such as freedom of expression, legal regulation of communication and the challenges of the globalized world, etc. After that, the head of the Court of Cassation in the Supreme Court, Mykhailo Smokovych, was invited to the speech, who emphasized the necessity of holding the Forum, because “such events provide the opportunity to obtain professional knowledge on the issues of legal proceedings and practice of the European Court of Human Rights”. According to the speaker, the main task of practicing lawyers lies in the need to ensure adequate protection of human rights and freedoms at the national level, and considerable progress has already been made in this case. On the basis of modern judicial practice, one can confidently state that the society seeks for the mediation processes that are being implemented in the approximation of the Ukrainian judicial system to European standards. The newt to deliver the speech was Mykola Onishchuk, Rector of the National School of Judges of Ukraine. He emphasized that the Forum “should give judges an impetus to return to the most important problems of Ukrainian legal proceedings”. At the same time, he outlined the role of the European Court of Human Rights in reforming the judicial system of Ukraine: “The mechanism for ensuring human rights and freedoms is being corrected, and in this process, the decisions of the ECHR have a special constitutional nature, because they form the supranational principles of protection of rights, freedoms, and interests” . Mykola Onishchuk also drew attention to the most significant and widespread problems at the present stage of the development of judicial practice in Ukraine, including an excessive length of proceedings, violation of the principle of equality of parties and the right to respect for private and family life. 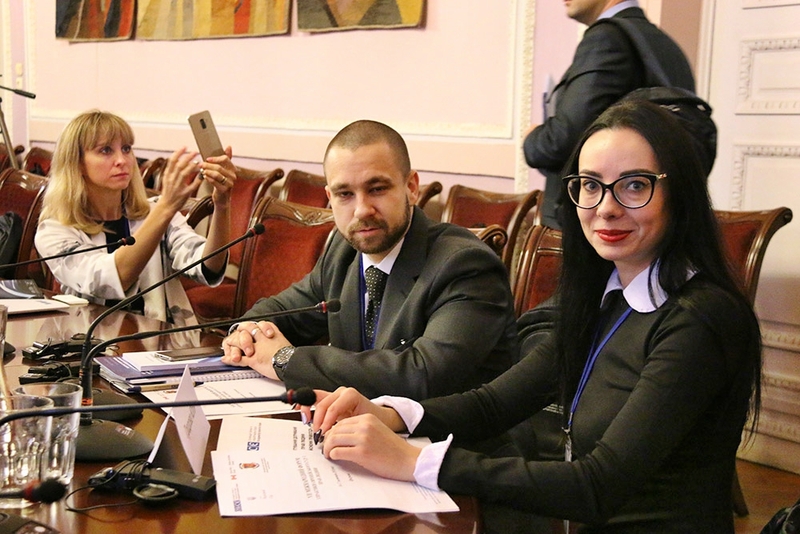 The National Program Manager for Rule of Law and Human Rights, the OSCE Project Co-ordinator in Ukraine, Natalia Stupnytska, congratulated all the participants and expressed special thanks to the Forum’s organizers. She outlined the importance of the role of judges in ensuring the rule of law and wished the participants fruitful discussions. After this, the first session of the Forum began on the theme “Non-absolute rights and balance of interests: modern challenges”, moderated by Armen Harutunyan, Judge of the European Court of Human Rights from Armenia. Within the framework of the meeting, the report of the judge of the ECHR from Ukraine, the president of the Fourth section of Anna Yudkivska about privacy in the era of mass observation was made. The main thesis of the speaker was the idea that “the Internet opened the door to narrowing the understanding of privacy.” It is important to realize that reasonable expectations of privacy should not be diminished under the influence of globalization and the development of communications. Due to the promotion of current trends in data tracking and declassification of personal information, the question arises whether metadata falls within the reasonable expectations of privacy. This issue has been analyzed in detail on the basis of the practice of the European Court of Human Rights, particularly, in the case of Benedik v Slovenia (2018), López Ribalda and Others v. Spain (2018), Roman Zakharov v. Russia (2015) and Big Brother Watch and Others v. The United Kingdom (2018). During the first session of the Forum, discussions were also held on balancing issues in the digital era, manipulative aspects of ensuring the right to freedom of expression, the definition of criminal law limits to freedom of expression in the light of the standards of the Convention for the Protection of Human Rights and Fundamental Freedoms. The work of the Forum was conducted within three sessions. Other reports were aimed at analyzing certain aspects of the right to a fair trial in a historical context and ways of resolving systemic issues in the administration of justice, in particular those relating to the provision of effective legal remedies in national legal systems, enforcement of ECHR judgments in the Supreme Court, review of judicial decisions in completed proceedings, etc.